In recent years, artificial intelligence technology has been taking the headphone world by storm, with a slew of new companies creating devices that claim to adapt sound quality to fit each individual’s unique hearing using a basic hearing test. We’ve evaluated a number of these — like the popular Nuraphone — and while we think the technology is interesting, we’ve yet to feel that we’re getting much beyond overhyped equalization settings. We believe that most people’s hearing — barring those with damage or age-related hearing loss — is pretty similar. That said, one thing we always liked about Even’s H2 headphones — an “EarPrint”-enabled pair of on-ears that were the predecessor to the company’s new H3 model — was that they were, first and foremost, a great pair of headphones. With sleek metal-and-wood tinged looks, decent battery life, and an app-powered hearing test that seemed to work fairly well, we thought the headphones were worth considering. The new model, though, has us a bit less excited. Sure, the same tech is onboard, but a slightly lower build quality and more restrained looks means we’re likely to continue to reach for their equally-priced predecessor. With brushed metal accents and beautiful black (or wood, depending on your preference at checkout) earcups, the Even H3 are an understated iteration of the more sculpted H2 headphones that came before them, but that doesn’t mean they aren’t still great to look at. In fact, we suspect that design alone will be a prime factor that leads many to be interested in the headphones in the first place. Like the H2, the new headphones have volume, play/pause, and equalization on/off buttons on the right earphone, with a 3.5 mm port also available on the bottom of the right side for wired listening. That said, these buttons rotate unnecessarily, meaning that the “-” and “+” symbols that denote volume up and down, can become “I” or “x” during normal wear. Likewise, the square symbol that denotes play/pause can become a diamond. This may not be a concern to you during everyday wear, and especially once you are used to what each button does and where it is located, but we are always concerned when small build quality issues like this appear on finished products. We weren’t entirely sold on the H3’s finished equalization settings. You can even see the buttons in the incorrect orientation in the company’s own marketing photographs, which leads us to believe it isn’t unique to our review pair. The H2, on the other hand, had the symbols etched into the wood of the earcup, making them impossible to become disoriented. We’re happy to report that these slight issues with finish don’t seem to translate to wearability or durability. In terms of fit, the H3 have a plush and comfortable leather headband and earcups, and we found them great to wear for hours on end, just like the previous model. The metal headband felt sturdy, and the headphones even come with a nice hard case to protect them on the go — something we always like to see with headphones in this price bracket. The Even H3 sound nearly identical to the H2 model, first and foremost notable for their warm and dynamic midrange. Even with no “EarPrint” technology engaged, we like the way that electric guitarists like Julian Lage and Bill Frisell sound through the headphones, with round and lifelike tone that we don’t often find in on-ear cans. Setting up your specific equalization settings can be done by simply pressing a button on the headphones out of the box, or they can be set up using the company’s EarPrint App. The test just took a couple of minutes and involved listening until various sounds became audible on either side of the headphones before pressing a button. The Even H3 sound good and offer enough compelling functionality to be worth it. As with many custom-tuned headphones with AI integration we have tested, we weren’t entirely sold on the finished equalization settings the headphones provided for us, which essentially seemed to boost the lower frequency response to the point of relative boominess. That said, the changes were significantly less dramatic and overpowering than we’ve experienced from other manufacturers, and it took us a few A/B tests before we simply settled for the non-EarPrint sound profile. Again, the fact of the matter is, the Even H3 sound good out of the box, which is a great thing. Those with hearing loss or those who know their hearing to skew oddly away from the relative norm may find that the EarPrint correction does them a world of good. With 20+ hours of battery life and a solid Bluetooth connection, there’s really nothing to complain about in terms of sheer usability on the go. Though we did have one small gripe in that the headphones occasionally turned off when they were paired but music wasn’t playing — causing us to blast our music from the speaker of our cell phone for a few seconds when we pressed the play button. Just don’t pause your tunes for too long, we guess. 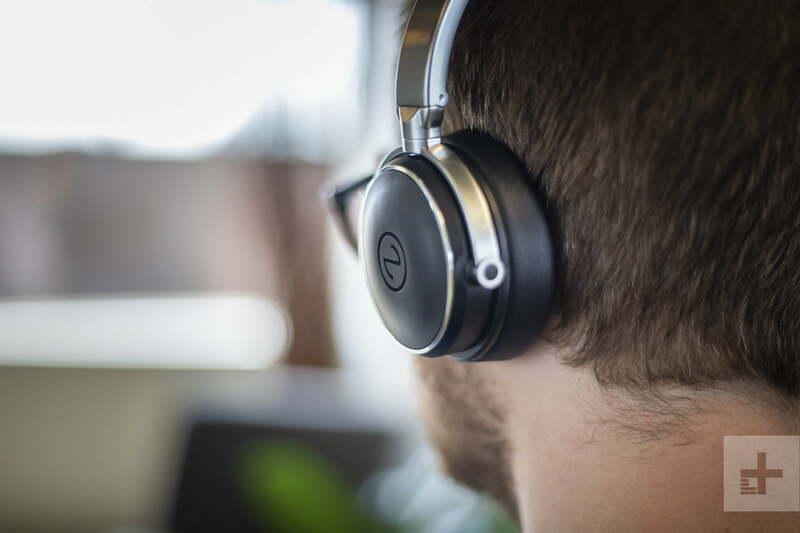 The Even H3 are an interesting pair of headphones that sound good and offer enough compelling functionality to be worth their $150 price tag, but we’re bigger fans of their predecessors, which look better and cost the same amount of money. That said, they still hit the AI-enabled headphone target better than many competitors, and that makes them an interesting offering in the space.